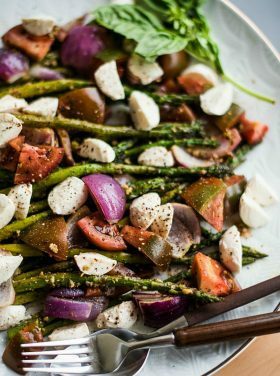 Enjoy Baked Asparagus Shaved Parmesan for Easter Brunch, a delicious side dish that pairs well with ham, lamb, or pork and even good leftover, served on this Pesto Asparagus Caprese Salad Recipe! These easy tips, how to cook asparagus, will help you make the perfect asparagus dish for any spring dish. 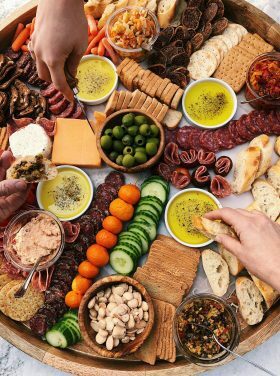 Friends, as the weather warms up with beautiful newness in the world, gardens also yield the most wonderful foods just waiting to be eaten, like spring vegetables! Since the season for each spring vegetable is a short lived one, it’s best to eat them at their prime! 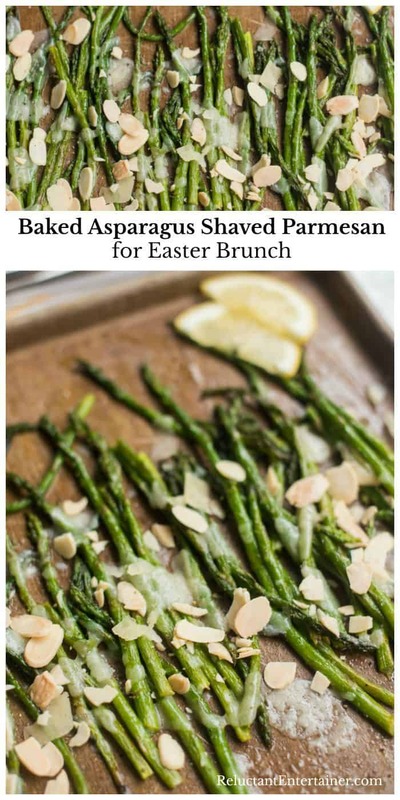 I think you’ll really enjoy this Baked Asparagus Shaved Parmesan for Easter Brunch this year! 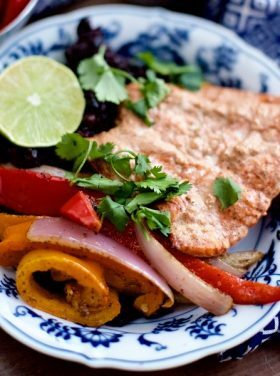 A few weeks ago, when the Meyer Lemon was the rave on blogs and in the grocery stores, I bought some and used them in a variety of delicious recipes. I will say that they are superior in flavor, so now when they’re available in the stores, I’ll be buying them for sure. 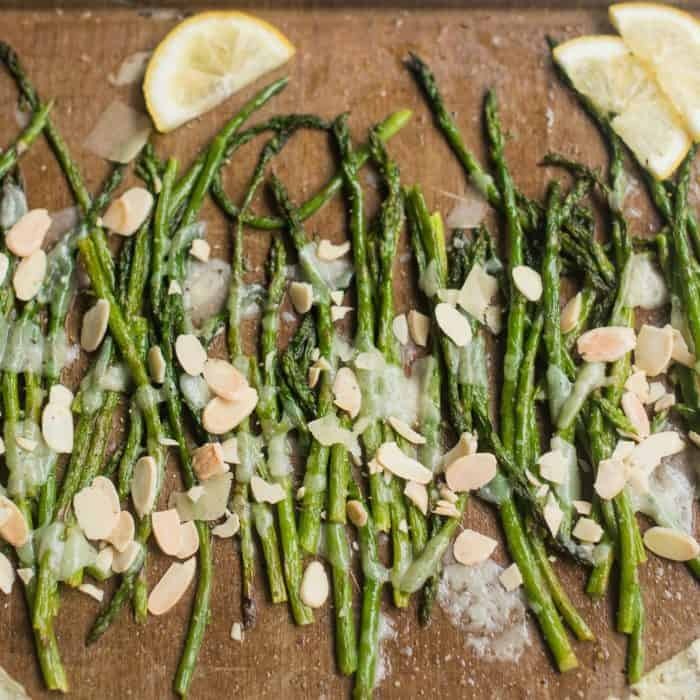 We will be enjoying Baked Asparagus Shaved Parmesan for Easter Brunch this year, and a few other dishes on the menu to try: Grilled Parsley Lime Asparagus Recipe or Bacon Asparagus Potato Fritatta or Pesto Asparagus Caprese Salad Recipe! These easy tips, how to cook asparagus, will help you make the perfect asparagus dish for any spring dish. Heat oil in a skillet over medium-high heat and add asparagus cooking for about 3 minutes. Stir in the white wine and cook for about 5 minutes, but don’t over cook it (it needs to be firm). 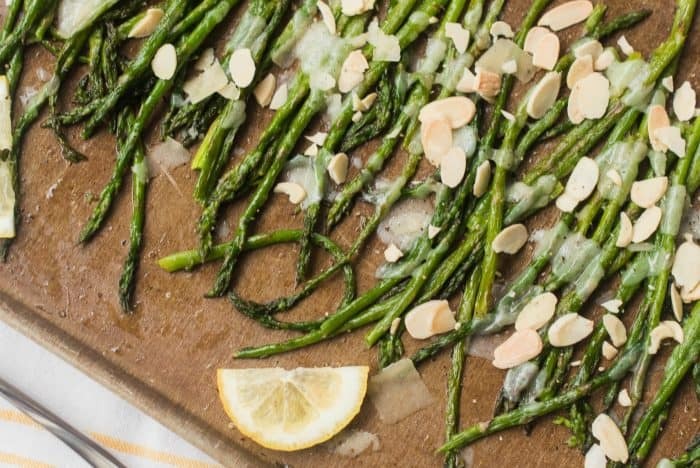 Move asparagus to a baking sheet and sprinkle with the shaved parmesan. This is where the asparagus gets good. Broil asparagus on HI heat for about 1-3 minutes. Remove from oven and garnish with almonds, salt, pepper, and fresh lemon juice. If you want shaved parmesan, you can take a brick of the cheese and use a potato peeler to make the shaved pieces. How easy is that? What’s your favorite way to prepare asparagus? And will you be serving it for Easter this Sunday? Snap off and discard woody bottoms. Heat oil in a medium sauce pan on medium-high heat, then add in asparagus. Cook for about 3 minutes before adding in the wine. 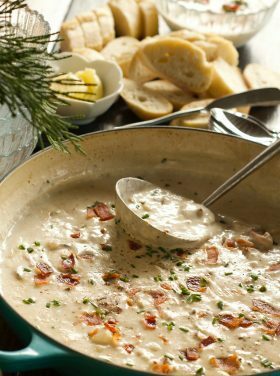 When wine is poured over, continue cooking for about 5 more minutes, or until asparagus is softened, but still slightly firm. 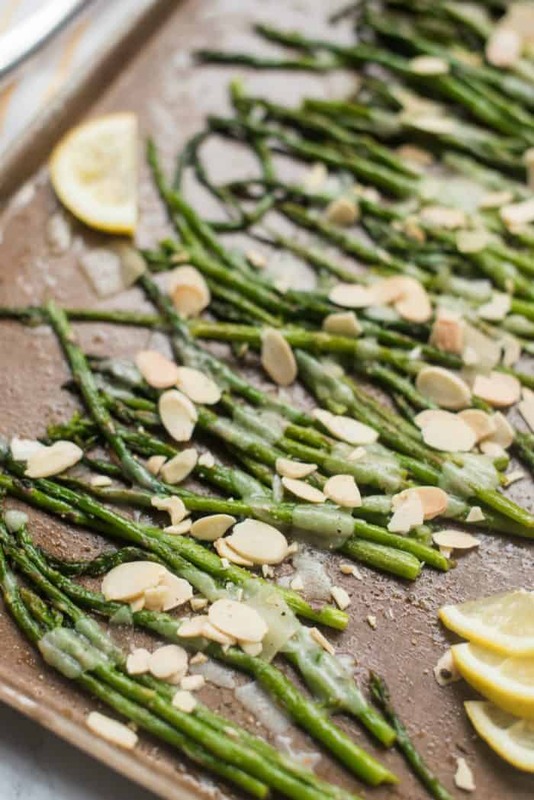 Move asparagus to a baking sheet and sprinkle with parmesan. Broil in oven for about 1-3 minutes. 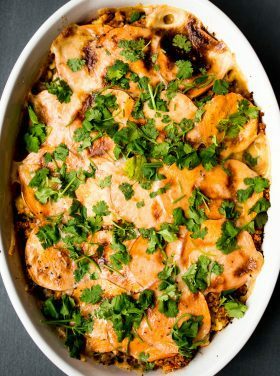 Remove from oven and garnish with almonds, salt, pepper, and fresh lemon juice. Serve warm. 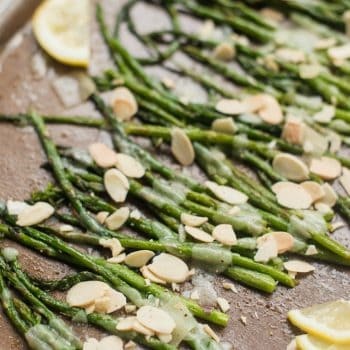 More asparagus recipes: Roasted Asparagus with Soy Sesame Glaze [Kalyn’s Kitchen], Grilled Lemon Butter Asparagus [The Cookie Rookie, and Creamy Pasta Salmon and Asparagus [FoodieCrush]. I”m actually serving a mix of roasted veggie on Easter. Would you believe that my husband is not a fan of asparagus. That didn”t stop me from eating it. I agree with you on the growing asparagus part. I think it”s perennial but I have never grown it. Yum! This is my kind of recipe! You can never have too many good asparagus recipes and this looks like a winner. And thanks for the shout-out for my Roasted Asparagus with Soy Sesame Glaze. Normally, I roast it or toss it on top with stove in olive oil with garlic and rosemary. I will be trying your recipe for Easter Sunday! You’ve done it again, and just in time! 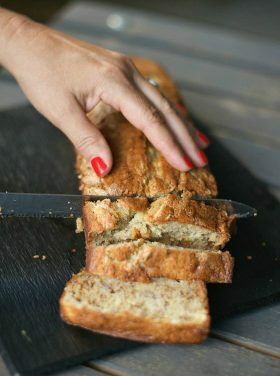 What a simple yet elegant recipe. And, I love reading about your collecting the Williams Sonoma cookbooks so inexpensively. Such a treat! Thanks for continuing to take the fear out of entertaining. That looks delicious! What a great addition for an Easter dinner. Ha!! I added my asparagus comment to your previous post…I think I’m tired. Well! I love roasting asparagus, but I also really like to do on my stove in some EVOO and butter with whatever seasonings sound yummy at the time. 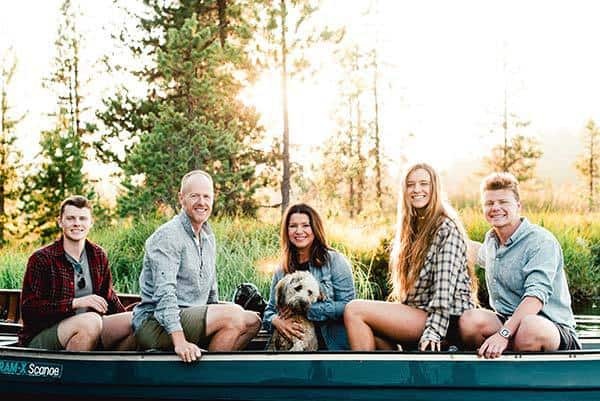 Just got back from a little trip and catching up on some of my favorite blogs- that asparagus is divine…..I think our Easter table will be serving some of that. OH! 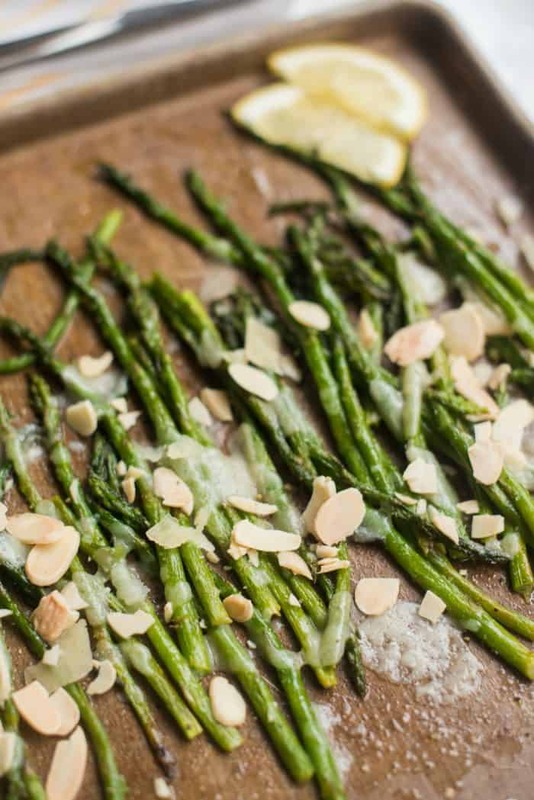 I love this,asparagus and parmesan,delish! I’m making my Creamy Asparagus Puffs…so fast and easy but they look like they took a long time to make. I’m so happy when asparagus season is here and the prices are dropping! We love asparagus! I like roasted asparagras and haven’t tried the addition of parmesan cheese but I will. Often, when cooking for just the two of us I hate to turn on the oven for a handful of asparagras. I use a skillet, put in just a bit of olive oil, lay the asparagras out flat, add a crushed garlic clove and cook it about 10 minutes, shaking the pan the turn the asparagras from time to time. When it is nearly done I add a few strips of Meyer lemon zest. Since we have a tree full of them I always have some on the counter top ready to use. I love asparagus. 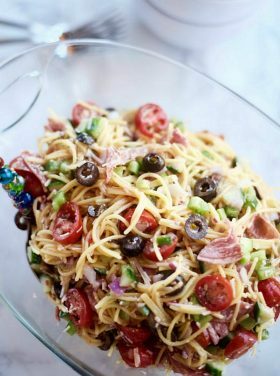 This recipe looks heavenly. And I love the tip about using a veggie peeler. Nice! P.S. The link to the giveaway is below.